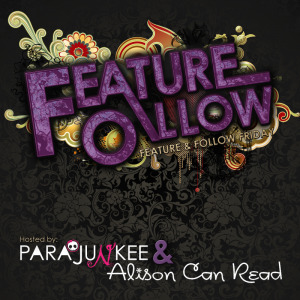 Friday Follow is a blog hop that was started by Parajunkee and Alison Can Read. Each week a different question is posted by our hosts and we will answer! This is a great opportunity for bloggers to network and interact. augh! are the book police going to hunt me down now?? We are giving away 3 copies of Anne and Henry on our blog! Check it out! Few people have entered so your chances are high!! This really is a great read! Welcome to the Paperback Princesses! Make yourself at home, take a look around our blog and let us know what you think in the comments section. We would love to hear what you have to say about our posts. We often try to comment on your comments as well so feel free to start a conversation! Since there are two of us running the show, we always have a variety of titles and event postings. Be sure to check out our own personal meme page. Check out Fantastic Fairytales, Let's Hear it for the Boys, In Case you Missed it and a few others. We try to not only focus on new YA books but also great titles from the past. Fathomless... is that a YA novel? I think I might have heard of it before. Followed via GFC! Check out my FF !! I've not read any of Jackson Pierce's yet. Someday though! There's been books by authors I love that I didn't really like too. It happens, unfortunately. :-( Old follower.